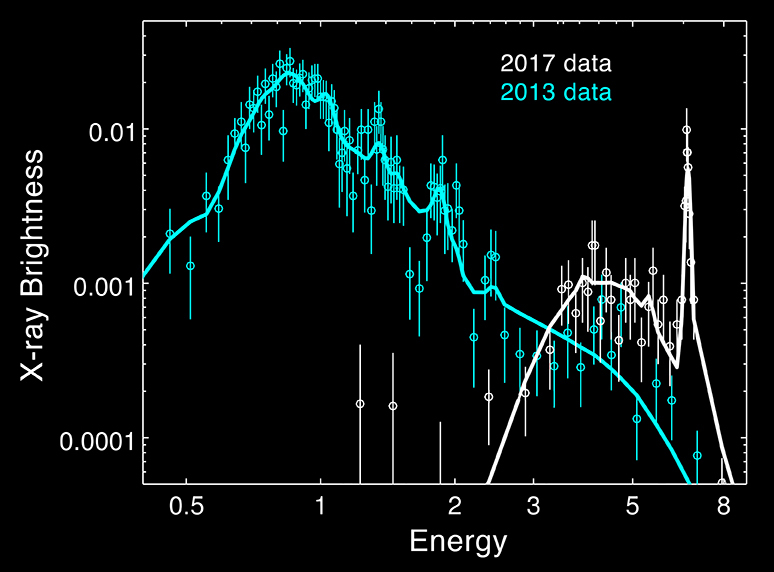 Chandra spectra from the 2013 and 2017 observations. The sharp peak on the right side of the 2017 spectrum is a signature of a large amount of iron. 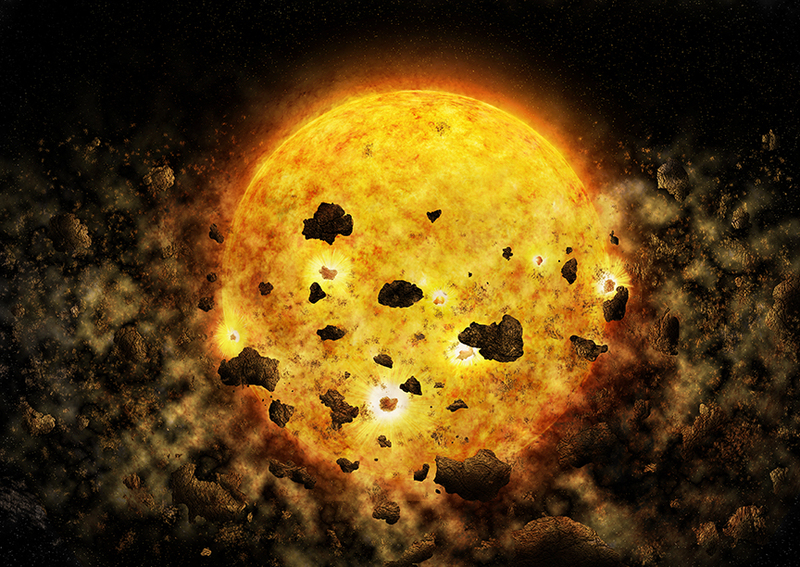 Artist's illustration depicting the destruction of a young planet.